Taking its place alongside the Bank of the West classic In Stanford is Citi Open in Washington, an ATP and WTA joint event. The tournament started as an ATP event in 1969 as one of the first open tournaments in the United States. After the WTA held an event in College Park, Maryland, in 2011, the ATP and WTA staged a joint tournament in 2012 at the William H.G. Fitzgerald Tennis Center in the Rock Creek Park section of Washington, DC. Magdalena Rybarikova has won here in two of the four years this event has been staged. The maiden winner as Nadia Petrova in 2011, with Svetlana Kuznetsova claiming the title last year. Tennis Atlantic has provided live on-site coverage of this tournament each year since its inception. 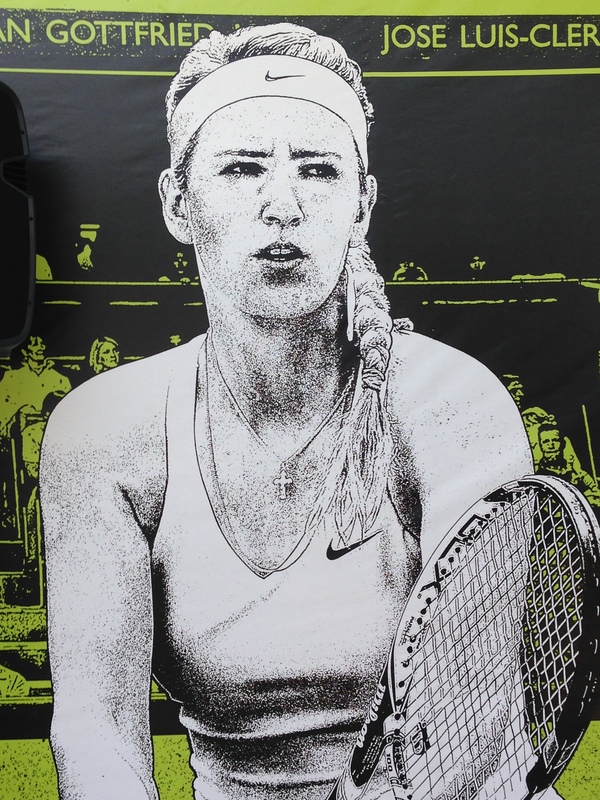 Victoria Azarenka and Eugenie Bouchard were scheduled to play here, but both pulled out prior to the tournament. If you asked Sam Stosur which un-seeded player she would like to avoid, I am sure Kristina Mladenovic would have been near the top of the list. As it happens, the tennis gods have paired these two together for the pick of the first round matches. The Aussie, coming in off a title win in Bad Gastein, will be looking to continue that good form during the US hard court series. This season has been kind to Stosur in the past as the second seed won the US Open four years ago. Mladenovic showed some good form over the clay court and grass season as she continues her bid to become the French number one. The 22-year-old only just missed out on a seeding here, with her ranking being 38 at this moment. Can the Frenchwoman continue her good progress with a nice start to the US hardcourt series? 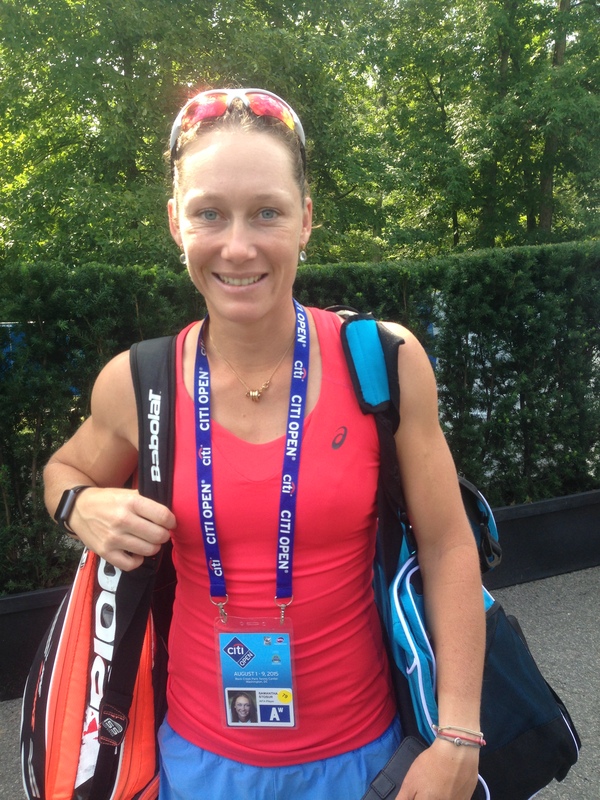 The 3-0 head to head shows that Stosur has had her opponent’s number so far. Their latest meeting was on the clay in Strasbourg earlier on in the year, which Stosur ran out the winner in three sets. However, Mladenovic has showed some good signs of progress and the change in surface can often provide upsets. 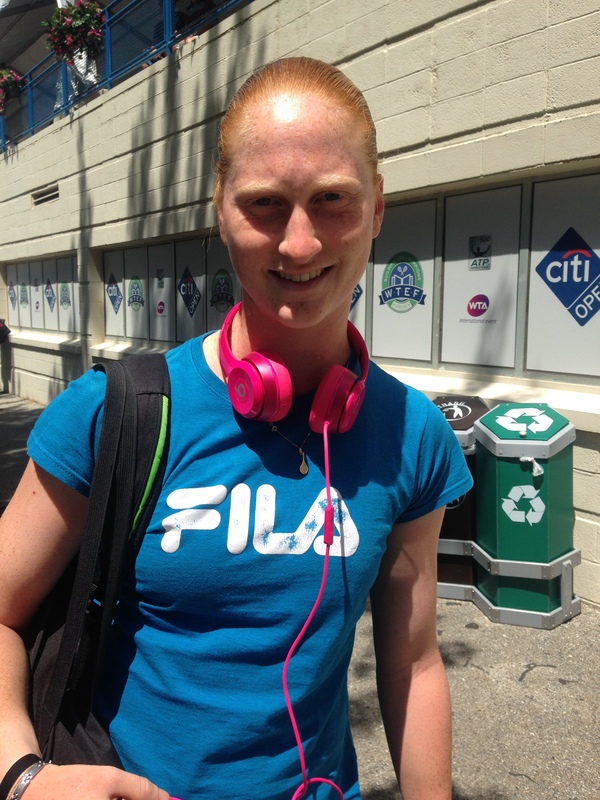 Alison Van Uytvanck caught the eye with her run to the quarter finals at the French Open. She will now look to catch the attention of everyone again by taking out the top seed Ekaterina Makarova in Washington. Since breaking the top 10, Makarova has struggled to really replicate the form that got her there. Now ranked at 11 in the world, the Russian will be looking to break back in to that elite company. Makarova is playing her first match since losing in the second round of Wimbledon to Rybarikova. Can she bounce back in Washington? Van Uytvanck failed to capitalise on a breakthrough tournament at Roland Garros, only winning one match during grass season. Hard courts suit her game more than grass, so maybe the Belgian can regroup and continue her ranking climb. She is currently ranked 50 in the world. Makarova will be a heavy favourite, but it is foolish to count Van Uytvanck out. The 21-year-old has shown she is capable of playing excellent tennis at Roland Garros, and on form she can certainly catch the top seed out. As mentioned above, top seed Makarova will face van Uytvanck in a tough first round clash, with a second round match against the winner of Jarmila Gadjosova vs Naomi Broady being very winnable. Irina Begu is the other seed in this section, and faces some interesting challenges in the form of Madison Brengle and Polona Hercog. You should expect the seeded players to meet in the quarter finals, where again Makarova will be favourite. The Romanian has had a solid year though and could provide an upset. Third seed Belinda Bencic is coming off an excellent grass season that saw her claim her first WTA title in Eastbourne. Touted as one of the tour’s brightest prospects, the Swiss is looking to break the top 20 for the first time in the upcoming weeks. Tereza Smitkova is a should-win in round one, but former two time champion Rybarikova could possibly await in round two. The winner of that will likely face wildcard Coco Vandeweghe in the quarter finals. Second seed Stosur headlines the bottom half, but like I mentioned earlier Mladenovic will provide a very tough round one. 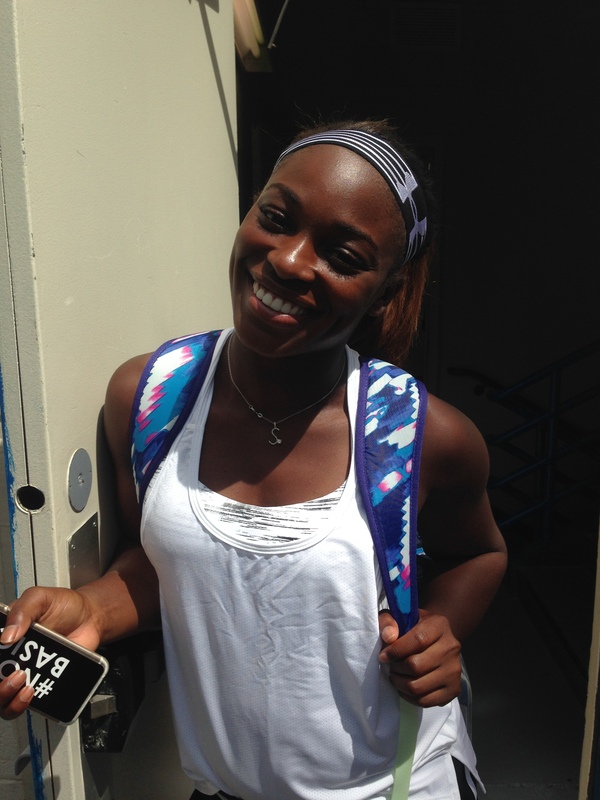 The winner will face either Irina Falconi or young wildcard Taylor Townsend in the second round. Zarina Diyas is the other seed in this section, but with the Kazakh’s game an upset is likely. Can Lauren Davis in round one, Monica Niculescu, or Lara Arruabarrena knock the eighth seed out? Defending champion Svetlana Kuznetsova will begin her title defence against qualifier Sanaz Marand. It will be round two where things will get interesting for the two time grand slam champion, with Sloane Stephens likely waiting in the wings. Alize Cornet is the other seed in this section, and she herself could face a tough round two against Heather Watson.